Addressing the inevitable end of the oil age before the world runs out of oil, Sheikh Zaki Yamani made an ironic comparison saying that “The Stone Age did not end for lack of stone”. Though said in different circumstances it reflects the main truth — utilization of resources stops not necessarily because they are depleted. Other factors may accelerate the transition and while for someone this may be a twilight period, for others it may enlighten new opportunities, especially in cases when there is not much oil to run out of. The Energy Strategy of Ukraine 2035 sets the goal of achieving 25% of renewable energy in the energy mix, while around 12% of electricity will be generated from renewable energy sources (RES) by 2035. This will mean renewables increase in the energy mix by more than 5 fold and around 10 fold in electricity generation. While targets look quite ambitious given the capabilities of the worn-out energy system, they also pose a dilemma. Meeting green energy targets and fulfilling obligations under COP21 while battling system bottlenecks, and ensuring the grid’s reliability. In 2016 around 120 MW of RES generation had been installed, while in 2017 it was already 257 MW. Those two years amount to around 30% of all commissioned RES. Obviously the Feed-in Tariff (FiT), which remains one of the highest in Europe, served the purpose despite the lack of proper regulation, which would have made the projects more bankable. The sharp rise of RES in the energy mix raised the acuteness of other questions — grid reliability and sufficiency of flexible generation in order to adapt intermittent energy generation. As of the date of drafting of this article, there is little precise data on the adaptation abilities of the grid though Ukrenergo, a transmission system operator, announced that the relevant information is being prepared and will be available in March — April 2018. As for now, Ukrenergo says that there are serious issues with integration of intermittent generation while the State Agency of Energy Efficiency and Energy Saving of Ukraine says that the system limit for integration of RES is around 4.5 GW. Nevertheless, amid talk on technical issues and ways of overcoming them, considerable progress has been made on the way to promote the renewables and in 2018-2019 more generation may be expected due to positive regulatory changes in the field. On 24 February 2018 Ukraine became a member of International Renewable Energy Agency (IRENA) which shall facilitate integration of Ukraine into the international renewable energy community and foster investments into the RES. On 14 September, 2017 and on 9January, 2018 the National Commission for Regulation of Energy and Public Utilities Sectors of Ukraine (Energy Regulator) introduced milestone amendments to the model Power Purchase Agreement (PPA) which entered into force on 29 October 2017 and 7 March 2018 respectively. The changes reflect a step towards the bankability of RES projects since before it the PPA remained in a state that was hardly attractive for overseas investors. The take and pay principle. The offtaker will buy all the energy produced with a deduction of the energy consumed by the power producer for its own purposes. Cash flow projection. FiT is linked to EUR and fixed until 2030 and the PPA is valid during the same period. Once the FiT is awarded by the Energy Regulator it remains valid for the whole duration of the PPA. Pre-PPA. The PPA may be signed before construction is completed and the commissioned project. In such case it becomes valid upon certain compulsory conditions like obtaining a license and receiving the FiT, joining the wholesale electricity market, etc. Legislative changes risk mitigation. The risk of legislature changes, such as termination/reduction of FiT, changes in energy sector regulations, etc. is allocated to the offtaker. In case such changes lead to increase of expenses for the energy producer by more than 5% of its income from electricity sale for the last 12 months, the parties shall amend the PPA in order to comply with the initial intent of the Parties. Resolution of disputes. A dispute resolution clause provides for mediation procedure at the Energy Community Secretariat with accordance to its Procedural Act. 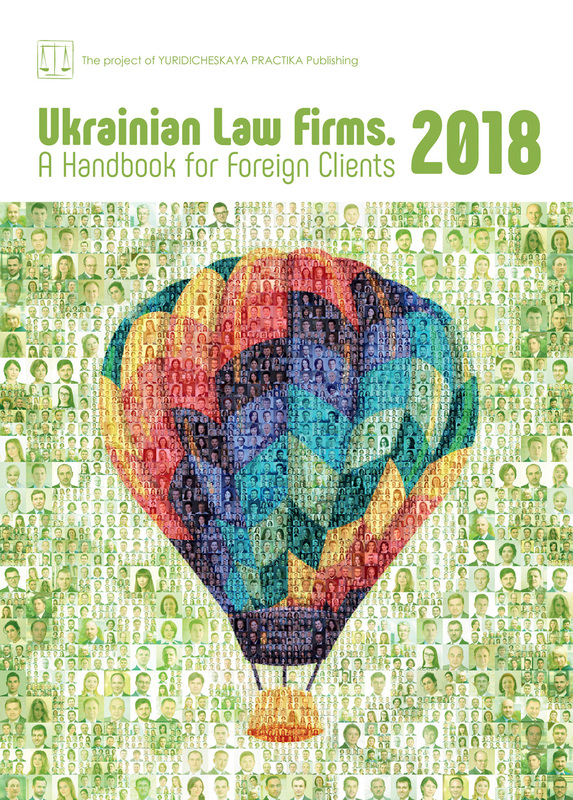 In case no solution is found during 30 days the dispute may be addressed in ICC arbitration in Paris or the relevant Commercial Court of Ukraine. — changes to energy sector regulations led to an increase in the expenses of the energy producer by more than 10% of its income from the sale of electricity for the last 12 months, etc. Compensation for PPA termination. The HPPA termination payment to which the power producer will be entitled in the amount equal at least to the outstanding debt of the power producer due to international financial institutions and swap banks as well as other relevant losses. Payment is linked to EUR and will be made in four equal quarterly installments. Third party investor protection. Assignment and step-in rights from one side allow the power producer to assign some property rights in favor of the third parties as collateral for financing funds. On the other side the offtaker may sign a direct contract with the creditors under which a grace period of 120 days shall be granted in order to eliminate the default of the power producer, due to which the offtaker may terminate the PPA. We assume though that these amendments that can (and will) be polished further are already displaying remarkable success in the field, and we’ll probably be able to see the first projects under the new regulations taking shape in the second half of the year. Notwithstanding the positive changes, attention will still be focused on project structure in order to mitigate potential risks and provide investors and financing agents with adequate protection. At the same time, we can admit that progress has been made in the domain of proper legal regulation of the “power producer — offtaker” relationship. Other potential game-changing amendments relate tolimiting the validity period of technical documentation,which is still under consideration but is likely to be enacted. It was announced recently that out of 4.5 GW potentially available in the grid for RES integration, 4.2 GW has already been reserved (meaning the relevant technical documentation has been obtained), while only 1.4 GW has actually been built. Due to certain reasons, some players prefer to clear land and prepare documents and hold onto projects or simply carry out all the preparatory work and then resell the plot of land to investors. The downside in this situation is the shortage or high price of plots of land in favorable locations. As of the day when this article was prepared, Draft Law of Ukraine No. 6081 On Introducing Amendments to the Law of Ukraine On Urban Planning Regulations Regarding the Facilitation of Investment Opportunities in the Sphere of Alternative Energy is under consideration in Parliament. The Law proposes that technical conditions for alternative energy projects are valid for three years from the time of their clearance. The technical conditions which are cleared before the Law comes into force will be valid for three years from the day the Law comes into force. It is assumed that this period is sufficient for a project to be constructed and commissioned. It is fair to assume that such amendments, if they are passed (which is likely to be so), will lead to increased control over the capacity and allocation of projects in order to balance the system. Furthermore, this will likely reduce the opportunities for speculating with lands plots that are acquired in lucrative spots and stand idle waiting for their time to come. We believe that due to the amendments the sector will become more interesting for professional developers who possess the organizational, technical and financial resources to meticulously plan and implement projects which have a high level of complexity. It is remarkable that obstacles of a technical nature have so far not prevented modernization of renewable energy regulations, which have been brought closer to international standards offering more consistent means of legal protection of investments within the industry. This sends out a positive signal and the timing could not be better, as in order to meet RES plans, in the coming years Ukraine will have to invest not only in renewable generation but also in power grid modernization, smart grids (some pilot projects are being considered), demand response as well as flexible capacities. At the same time, the Balancing Capacity Market will go live on 1 July, 2019 and could be a mine of opportunities for investors in dispatchable generation, especially taking into account the system lack of reliability with intermittent generation. On top of that, there is looming need to replace more than 50% of all generation in the coming 20 years and, therefore, investors have sufficient grounds to look at the electricity market of Ukraine from the position of opportunities.